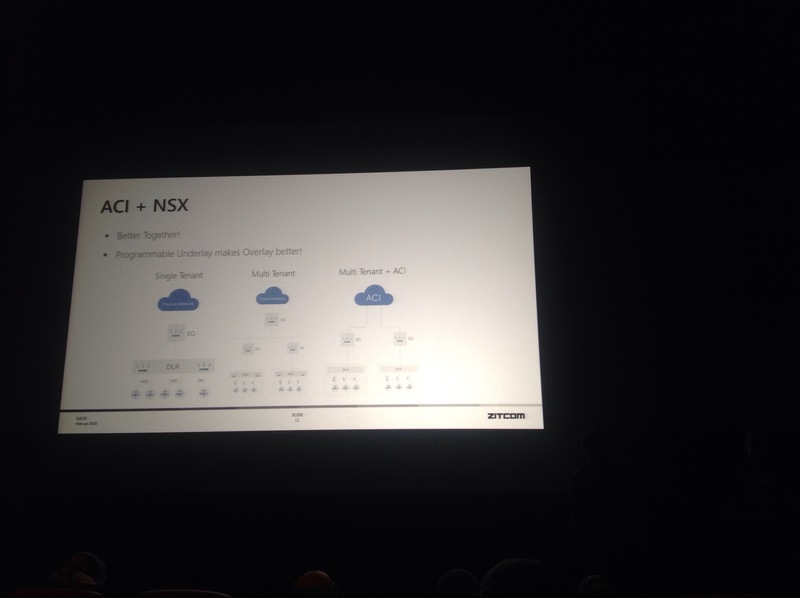 This years VMUG in a cinema is about NSX, and features sessions from customers that are using NSX and some that are contemplating it. VMUGdk has also scooped Martin Casado to come and speak. Martin is the co-founder of Nicera, the company that VMware bought to rename it to NSX. I will try to give a recap of the day below. First up was a customer session with Michael Munk Larsen and Thomas Raabo from Zitcom, talking about their transformation from “normal” networking to Software Defined Networking. A very honest accounting of their experiences with NSX and all the issues they have encountered working with the first versions of the product, and why they don’t run NSX yet. Ended up sounding a lot like an NSX bashing session, but they kept pointing out that all the nice things about NSX can you read on different blogs. 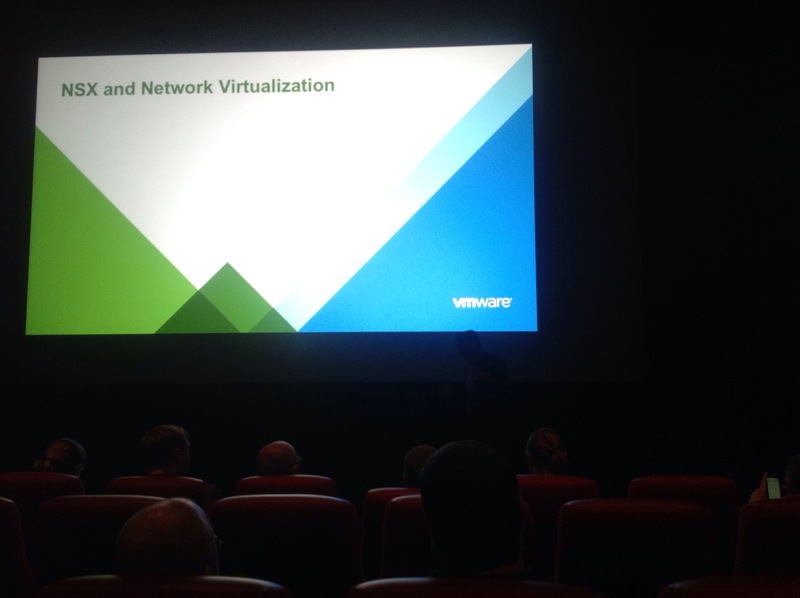 Starting out by giving a background story on Network virtualization . 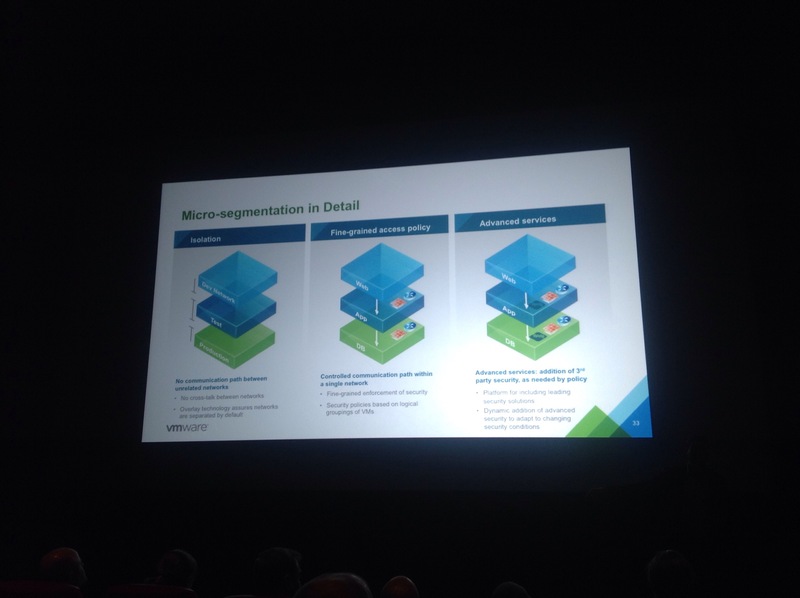 Next moving on to showcasing different use cases for network virtualization: automation and micro segmentation. 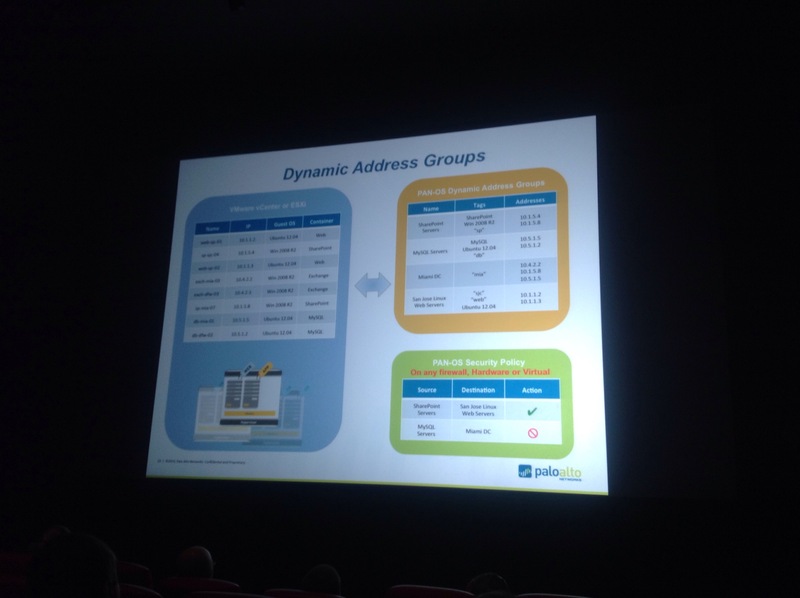 The next speaker was Christer Swartz of Palo Alto Networks, formerly of Cisco and Netflix. Doing a presentation on Palo Altos views on NSX and on software defined networking. Talking about what Palo Altos firewall can do for you. Making a point about having both the physical and virtual topology be both managed by Panorama, their management software, and them being aware of each other. Not that big, a company in Denmark, but does seem to have some really nice features. 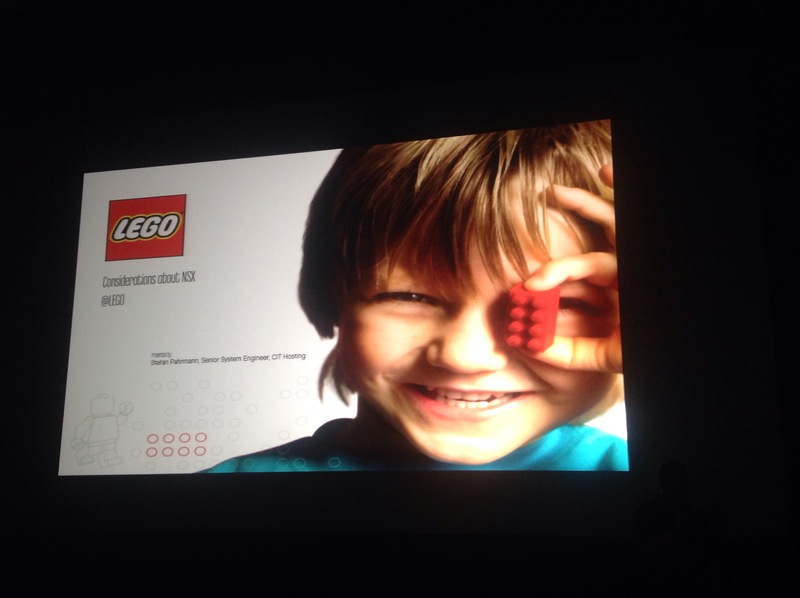 A very nicely done 5 slides presentation. One of the points was stating that software was better than hardware always… Have to Quote Signoutdk on this one. 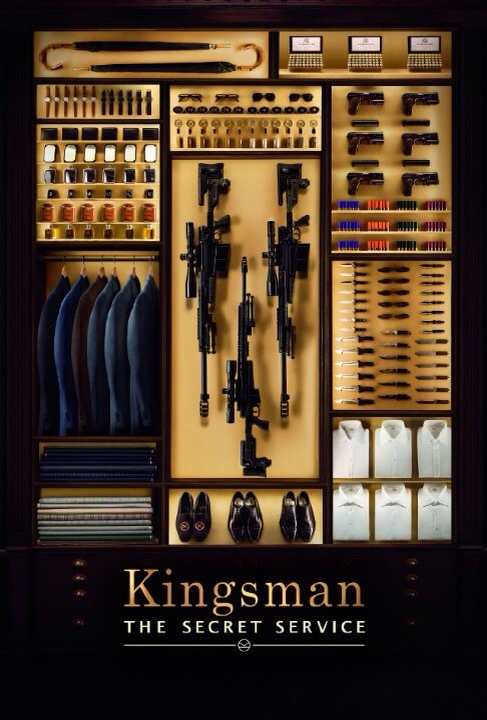 After this there were a few price draws, and we finished off with watching the movie Kingsman, the secret service. Thank you VMUGDK for a nice day.